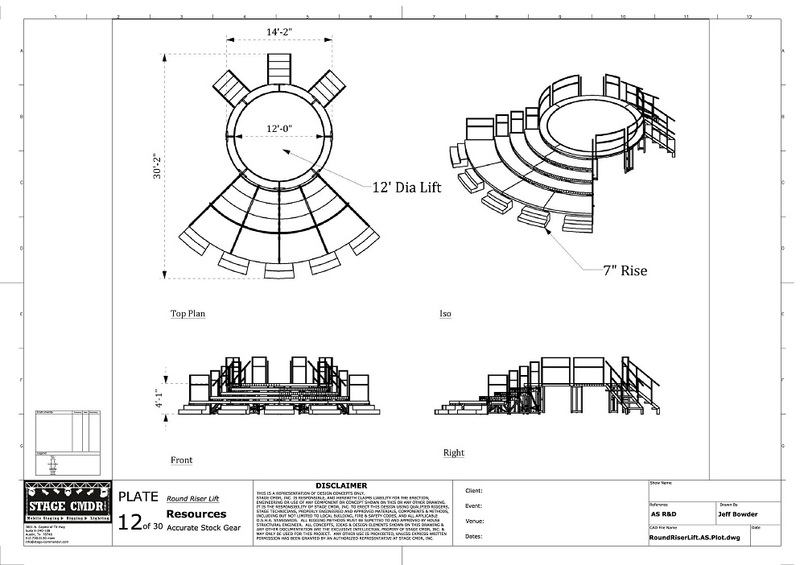 Stage CMDR offers an extensive selection of circle stages in Austin, Lake Tahoe, Sacramento, Napa, LA, San Francisco, Reno, Portland, Las Vegas and Seattle markets. 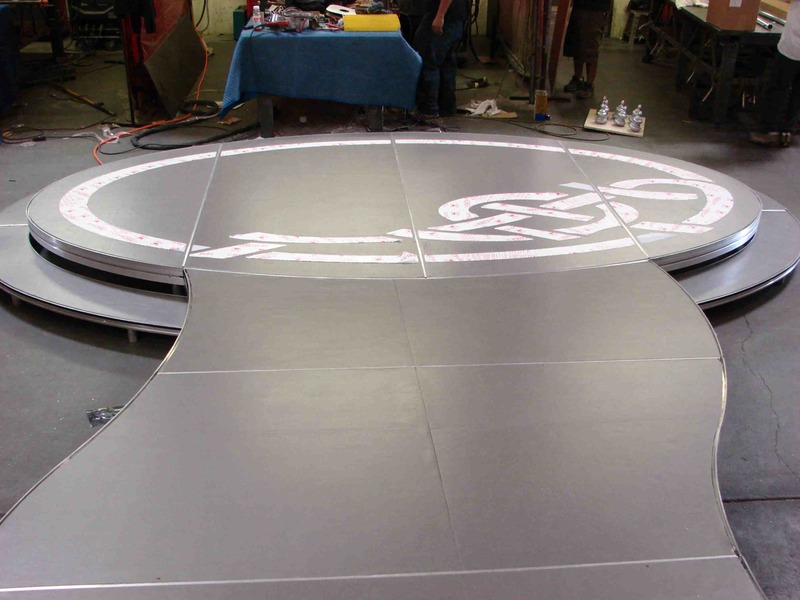 Circle stages can come in full, half or partial shape and in all the different types of deck surface options such as clear, frosted, standard black, glossy black, white, gold, red, blue, grey, diamond plate and brushed aluminum. 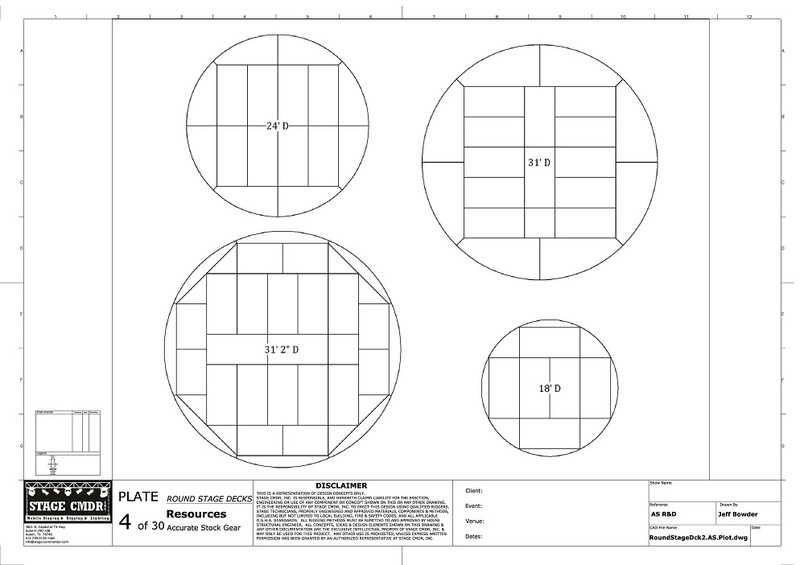 Other sizes are available that are not displayed below. 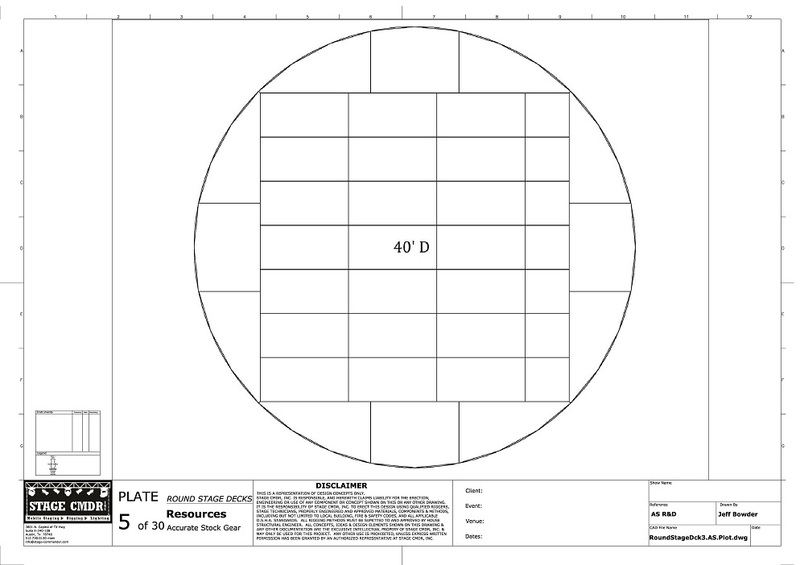 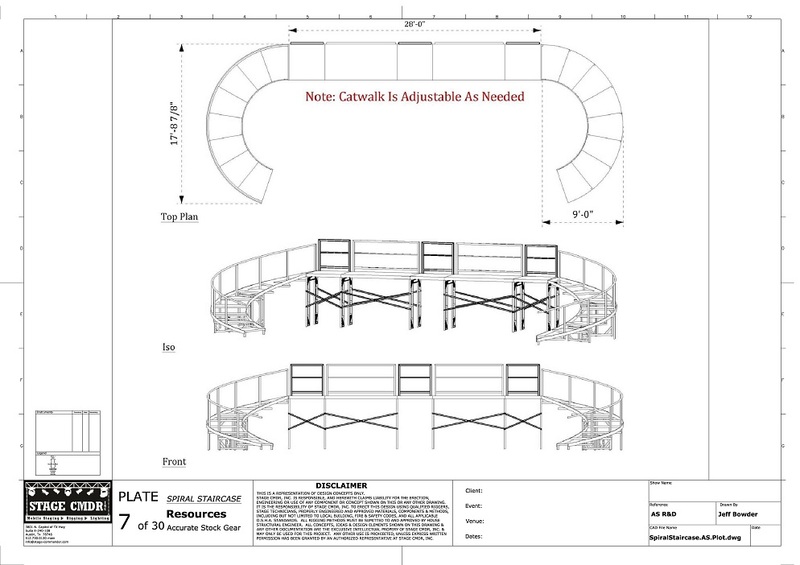 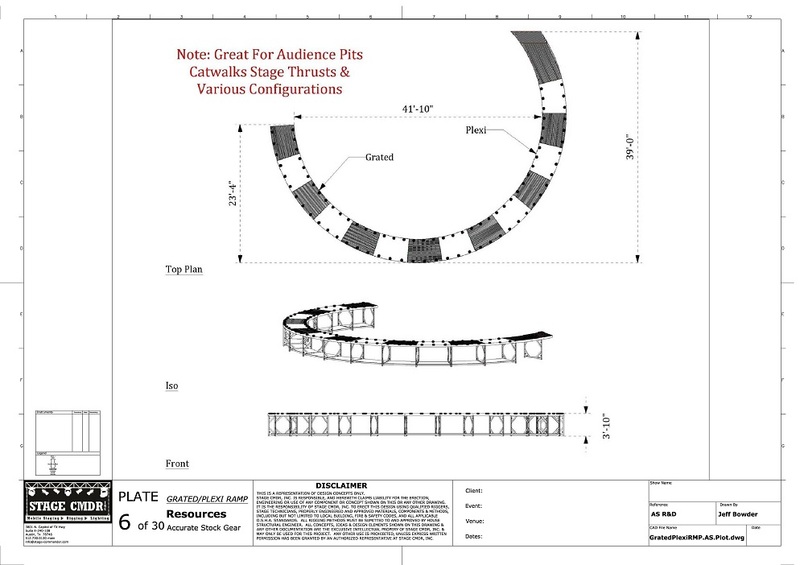 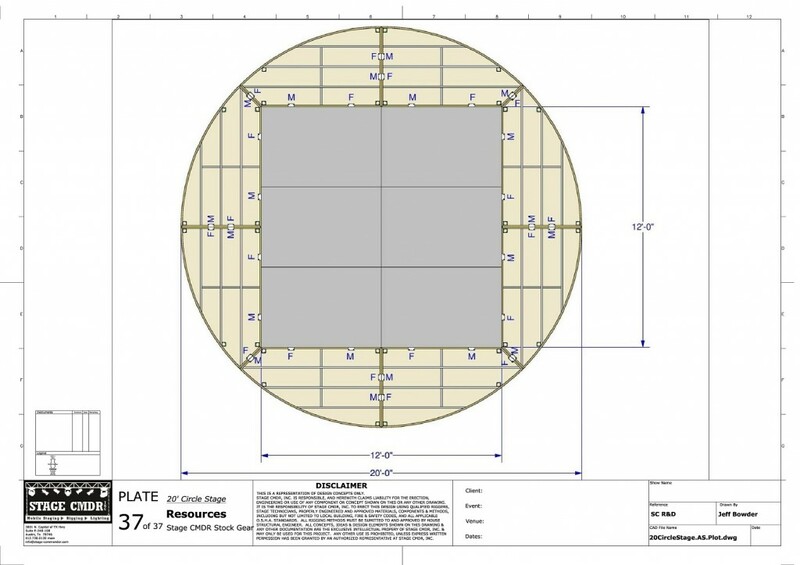 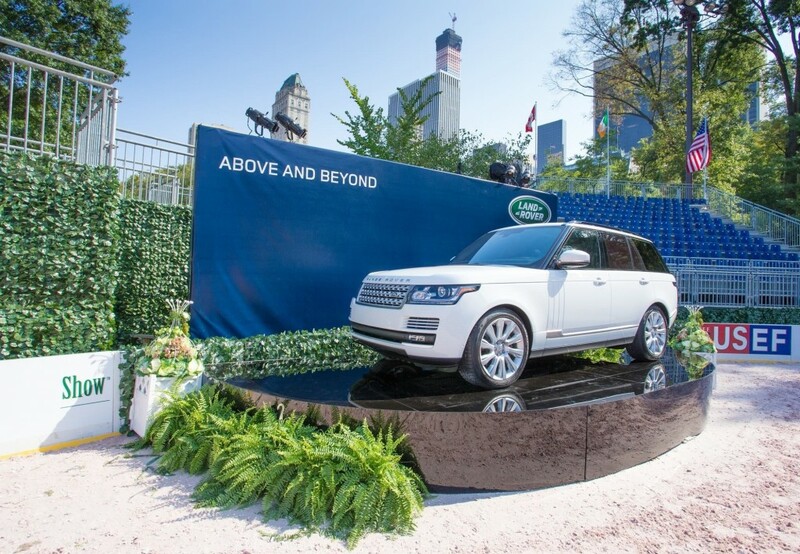 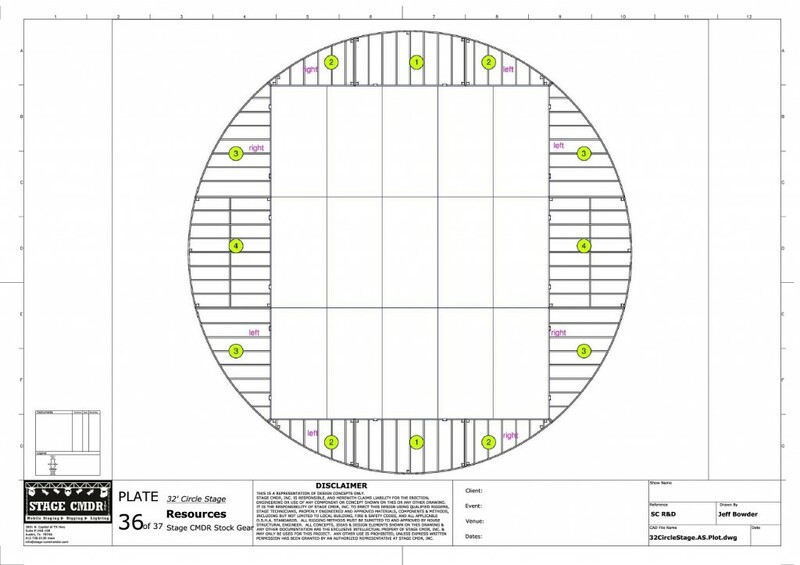 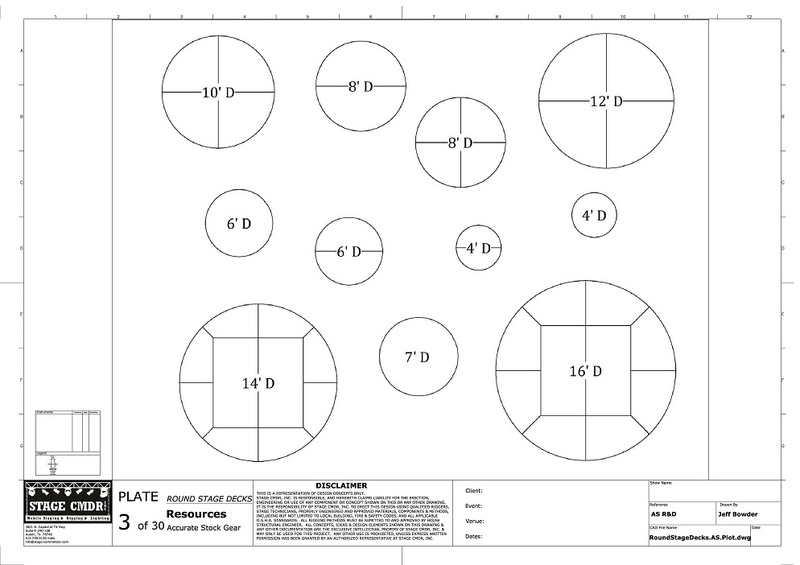 Need a stage set with a half circle catwalk or a custom circle riser with curved shaped stairs? 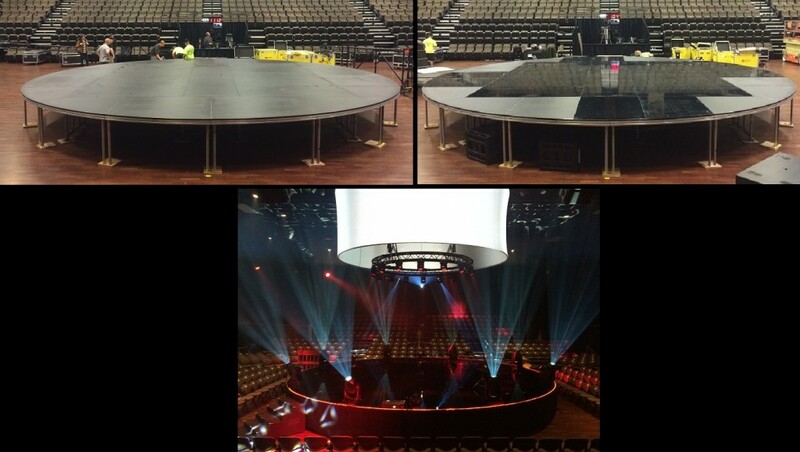 What you thought was impossible, Stage CMDR will fabricate it to make it possible!